Odd- or cool-looking underwater creatures (some common, some not-so). 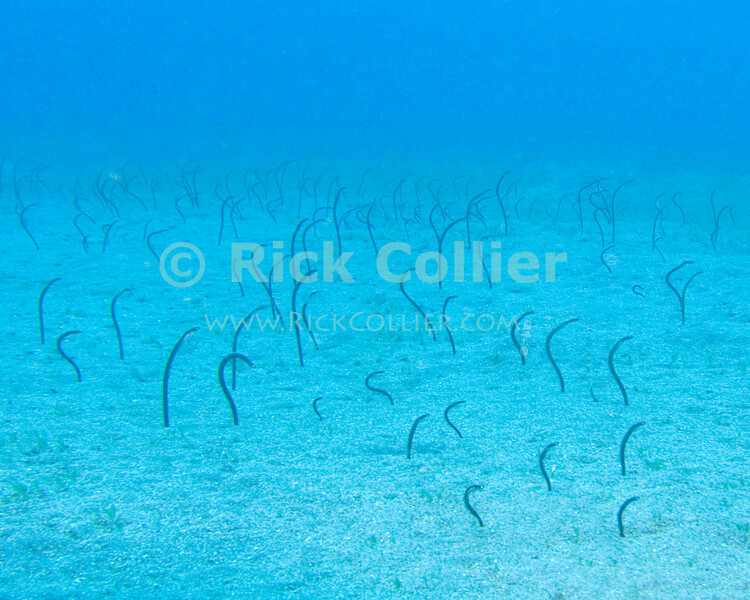 Garden eels wave extended from their holes in the sandy bottom, facing into the current. St. Eustatius (Statia), Netherlands Antilles.